As global climate change reaches the point of no return, Éric Piolle and David Miller are tackling the crisis one city at a time. The first Mayor to be elected from France’s Green Party, Piolle has transformed the city of Grenoble into one of Europe’s renewable energy leaders. The popular former Mayor of Toronto, Miller now serves as the North American Director for the C40 Climate Leadership Group, a network of the world’s megacities committed to addressing climate change. 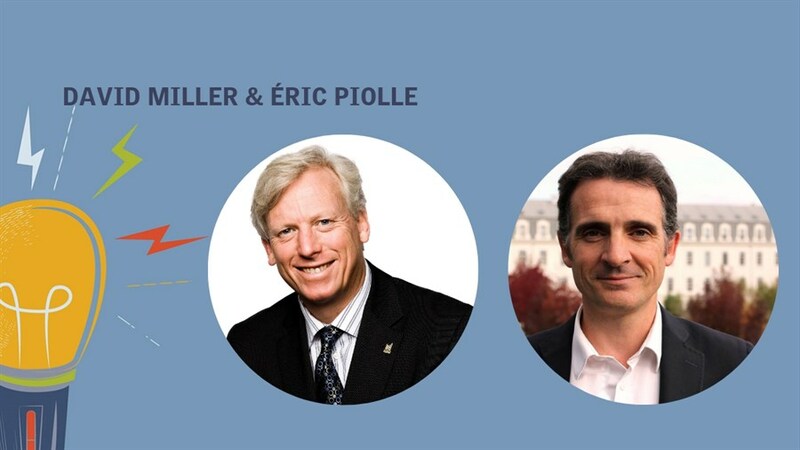 At this meeting of two of the world’s most dynamic urban thinkers, Piolle and Miller will share their insights on the role cities can play in turning the climate tide—and what we can all do to make them green and sustainable.